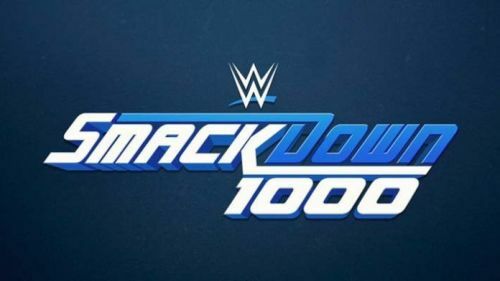 SmackDown 1000 will be huge! Well, with SmackDown is approaching its 1000th episode, there's no doubt the celebrations will be monumental. After seeing what WWE pulled off with the Raw 25 celebrations earlier this year, the bar has been set for SmackDown's millennial celebration. We know WWE will try to pull out all the stops to make this the most memorable and historic SmackDown of all time and, with Undertaker already confirmed to appear, you've got to imagine there are only more huge announcements to come. SmackDown has been on a 19 year rollercoaster, from creating stars to being pre-recorded and living in the shadows of Raw, to then going live again and becoming possibly WWE's most watchable and entertaining show over the last year. But that's all about to change on a monumental scale, with the blue brand's move to FOX next year set to make it WWE's flagship show broadcasting on a Friday night. So, while SmackDown 1000 will be a celebration of the history of the show, you've got to think that WWE will know the eyes of the world, and their new broadcasters, will be on the product - so it has to be massive. RAW's 1000th episode and RAW 25 were both monumental, and even SmackDown 900 was filled with special segments, so you'd have to think we're in for a treat on October 16th. So, what can we expect to see? I'm counting down five huge surprises WWE could pull off at the October special. Could Tazz return for one night only? Okay, so this may be the least likely of all to happen. 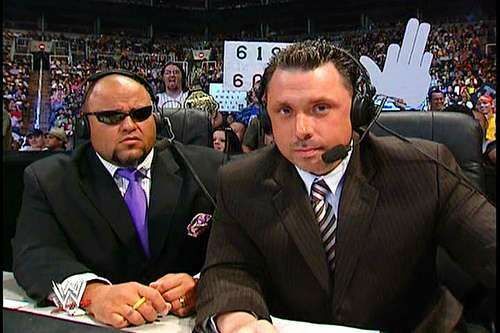 We know WWE loves a three-man booth on commentary and Tom Phillips has made the play-by-play role his own, flanked by Corey Graves and Byron Saxton - but the voices of SmackDown for many is undoubtedly Tazz and Michael Cole. We've heard Jim Ross and Jerry "The King" Lawler quite a few times this past year, notably in the Manhattan Center portion of Raw 25, so there's no question that WWE is happy to revert to a two-man team for special occasions. Now, Michael Cole is already on Raw and there's no doubting his commitment to WWE, so I'm sure he'd have no qualms about showing up on the blue brand for the night. One big question is whether Tazz would return. Now known under his ECW moniker Taz, the Human Suplex Machine has transformed to Human Podcast Machine and now Human Broadcast Machine. Taz does a morning drivetime sports show for CBS called Taz and The Moose, as well as his very own The Taz Show where the ECW legend covers all things wrestling. Tazz was in the building for SmackDown 900, having filmed for WWE Network that night and said he wasn't asked to do commentary for a match, but would have been open to the idea to add to the nostalgia. If WWE reaches out, this really could add something special to the atmosphere of the night - even if it was just for one match.